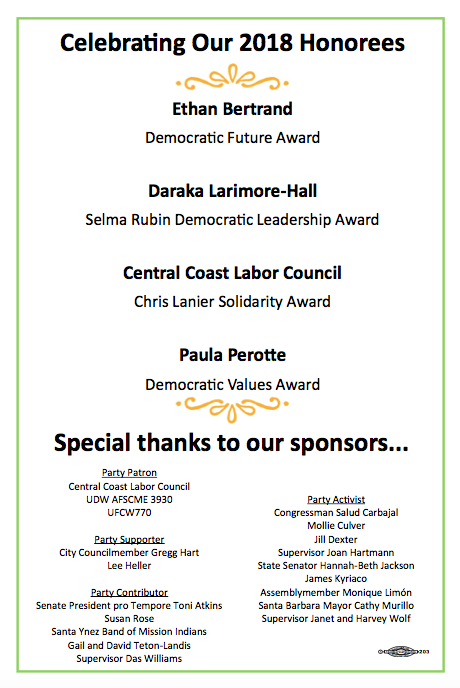 The event will be held at the beautiful Carrillo Recreation Center Ballroom in Downtown Santa Barbara. This event serves as our premier fundraising event of the year, and draws capacity crowds of Democratic activists, community leaders and elected officials. 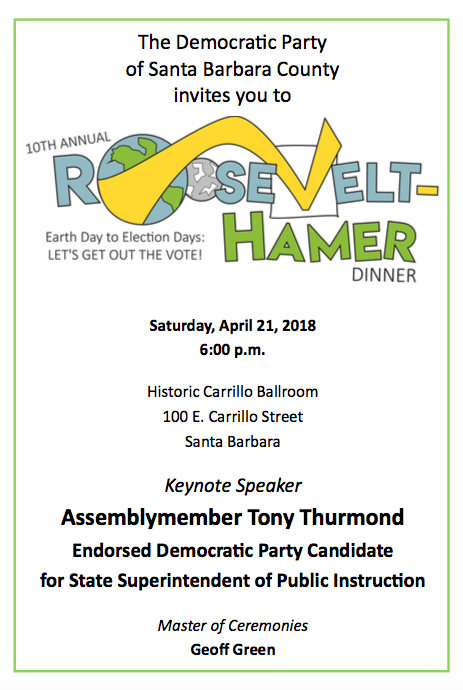 This year, we are thrilled to announce Assemblymember Tony Thurmond will be our Keynote speaker.